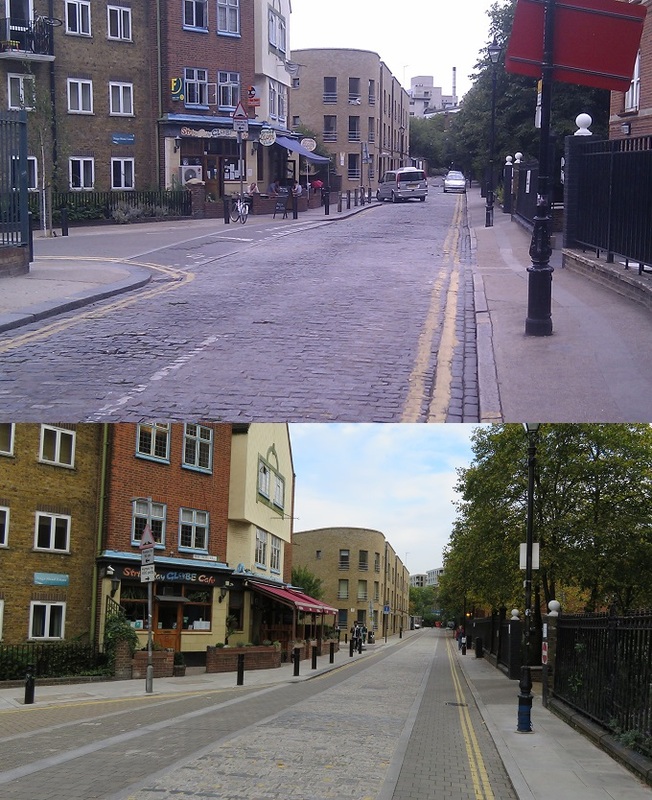 I wrote about the Goldsmith's Row cycle street and the cycle counter located on it almost exactly two years ago. The cycle counter has now been there for four years, providing an exact count of the number of cycle trips occurring on this road during that time. Once again I have worked out the average number of trips made by bicycle each workday, each day at the weekend and also the average for each week in every month. I've also totalled up the number of trips in each calendar month. For ten days in March of this year the cycle counter did not work and recorded zero trips for that period so whilst the average number of trips should be about right, the total number recorded for that month is lower than it actually would have been. And then monthly totals also follow the same pattern of being higher in the summer and lower in the winter. There is no change since my last post about this counter; July 2014 remains the month with highest figure when nearly 130,000 cycle trips were made with December 2013 also still the lowest with just over 65,000 trips. The total number of trips per month was always above 100,000 from March to October in 2014, from April to October in both 2015 and 2016 and above 100,000 in each month from May onwards in 2017. Both these yearly totals and the averages show that each year the number of people cycling on Goldsmith's Row has decreased by a small amount. I've been thinking why this could be; young people priced out of the borough and moving further away into areas like Waltham Forest? Young Europeans leaving the UK due to Brexit? 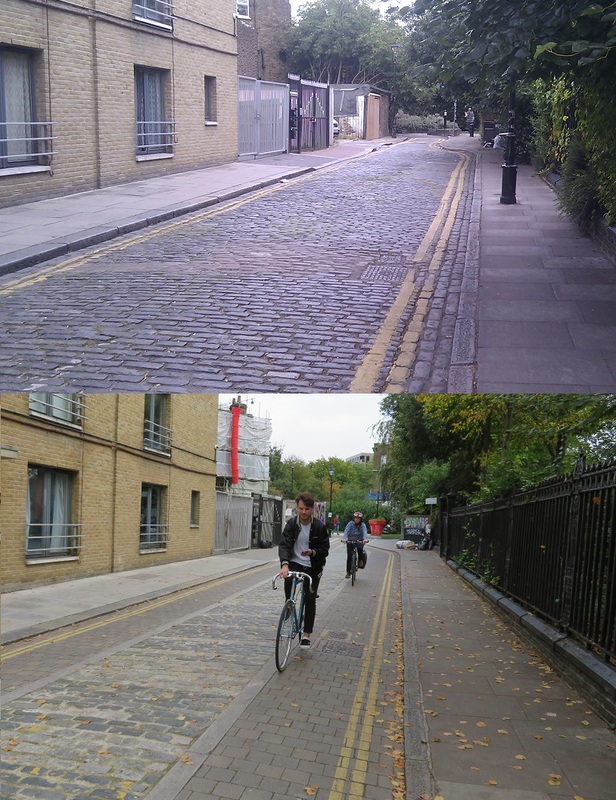 With the recent construction of protected cycle tracks nearby are people using a different route? 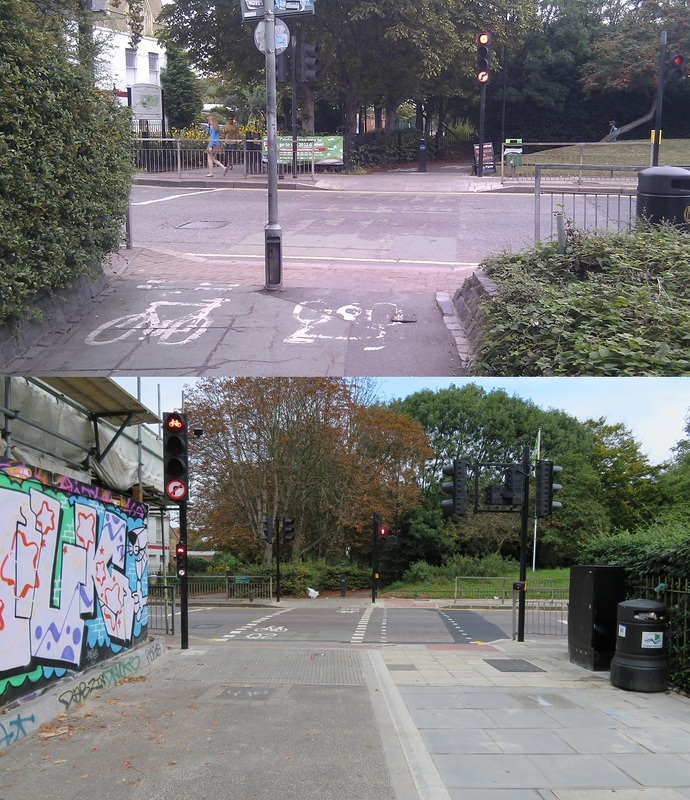 I used to cycle to work along Hackney Road, very close to this counter but since last summer I've shifted over to the much more pleasant CS2 route along the A11 instead. However the decrease is not substantial and it would only take between 50 and 100 more cycle trips here each day to see an increase, so it'll be intriguing to see the figures for next year and weather the decrease in cycling is a trend or a blip. The total number of cycles passing the counter from installation day on August 12th 2013 to the end of August 2017 was 4,844,422 (although had the counter worked for those ten days this would be closer to 4.87 million). It will tick past the 5 million barrier one day next week (most likely between Thursday and Sunday) but had it been working for those ten days this year then bicycle number 5,000,000 would have peddled past at some point this week. As for the highest count days once again there is no change since my last post; the 3rd June 2014 remains the highest total with 6,624 trips recorded. Although as I explained then I think this was an error with the counter and the amount was actually lower but I could be completely wrong about that. The next highest total is 6,380 on the 9th July 2015 which was the day a tube strike shut down the entire underground network. These are the only two days where more than 6,000 cycle trips have been counted. Not quite sure why Hackney Council have painted "Q2" here as this is not Q2! These improvements are welcome but I really wish so much resource was not being spent on quietways. Hackney Road badly needs protected cycle tracks along it, as agreed by Hackney Council in 2015. This could link up with the Clerkenwell Boulevard creating the West End - Old Street - Olympic Park Cycle corridor as suggested in the 2014-2024 cycle plan. An upgraded cycle route along the B108 as proposed by Tower Hamlets Council would then also create a link from this route (and from Hackney Central) south to CS2, CS3 and create safe routes for staff and visitors to The Royal London Hospital. I truly believe if this happened then the numbers on the cycle counter would rise dramatically.